“Velocity738”, this is the chosen ride of our Perth 737 team who have provided invaluable help with the build. VOZ738 is also often the ride for a few local Virgin Australia 737 pilots who drop by to practice their emergency drills, quite often to a captivated audience looking on at the real deal showing us how it’s done! Gwyn joined the Worldflight fundraising event in 2013 and Velocity738 has ‘flown’ in every event since 2014. 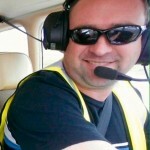 Jason received his pilots licence flying in outback Queensland in 1987 and pilots single engine aircraft (Piper, Cessna, Cirrus) out of Jandakot. He has been interested in flight simulation since FS1 on the Apple IIe. Finally he got to start building his own B737 sim in 2006 and it is mostly complete. He is a long time member of the Virtual Air Traffic Simulation Network (VATSIM) and controls in VATPAC airspace as an enroute controller. He is also involved in scouts and enjoys anything outdoors. Ken has had a passion for flight since childhood and gained his private pilots license in 2005 and is endorsed on Cessna 152/172 and Mooney aircraft with about 200 hours in his logbook. Ken began flight simming to assist his real world flight training and quickly got hooked on the hobby of home cockpit building and is currently on his 3rd home cockpit build. Ken was an inaugural member of the flight crew for Worldflight Perth in 2013 and continues today in VOZ738. He also manages much of the IT for VOZ738 and runs this website. 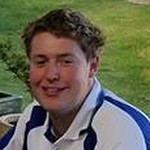 Luke works within the airports industry in a training and compliance role and has been an avid flight sim fan since FS1 and FS2 on the Amstrad PC. 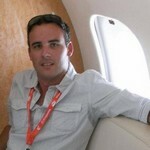 Luke enjoys a bit of flying here and there and is a fan of V8 supercar racing. Occupation: Diesel mechanic and Prosim Utils expert extraordinaire. Kirk has been an active member of VATSIM since 2006, both as a pilot and senior ATC, Kirk has been able to pass on his VATSIM experience and assist with ATC training for our crew members. Kirk worked in the Aviation industry for over 4 years at Perth airport, and has about 1 hour worth of flying time behind the stick of a 172, among Flying and ATC Kirk is also a member of the Swan Districts Volunteer Fire Brigade and enjoys traveling in his spare time. Kirk was also a member of the inaugural Perth Worldflight crew in 2013 and has been an active member ever since. I first fell in love with aviation as a young bloke flying on Ansett back in the days you could go up and watch the pilots go about their thing, One trip from SYD-BNE on either a B737-300 or B767-200 they captain got up and let me sit in his seat whilst he went to the toilet. I remember vividly, sitting there completely frozen and in awe of what was happening around me and the rest is history. I got in to simming around the FS2000 mark which in turn inspired some real life flying in a Cessna 152 at YSBK at Schofields flying club around 2006/07.. Then life changed and I developed an equally expensive travel bug and real life flying took a back seat. PMDG and LevelD had released some great aircraft and the PSS A320 was still going strong in FS2004 and than came along VOZ Vista Australis and my once small simming hobby over a small period of time quickly fed my thirst for all things aviation with the level of realism that was being produced. Enter the current day where I have plenty of hardware, Use charts on every flight and enjoy going through checklists and of course being able to be a part of Gwyn’s 2015 world flight crew in the 737-800 is just the ultimate! I can almost see myself as a young bloke sitting there all nervous looking at the marvel of these great machines eager to get to our next destination! Thomas entered the world of flight simulation in 2005. 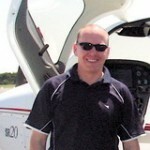 He has real world flying experience in the Piper Tomahawk and Cessna 172SP. 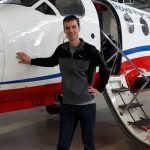 His passion for Flight Simulation and the desire to connect homemade hardware to Microsoft Flight Simulator led him to study computer languages and build custom applications. One of the applications created is used to interface the motorized B737-800 throttle with the flight simulation software. 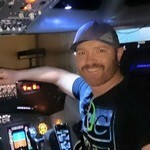 Thomas has been a member of Worldflight Perth since its inception in 2013 and flew in all three official Worldflight Perth simulators B737-800, B747-400 and B777-200. Thomas is married and has two sons. In his spare time he likes reading, biking and playing soccer. Giles has been a passionate fan of Flight Simulator since FS98 days on a Pentium 2 PC however he started seriously simming with Vatsim on Flight simulator 2004. Giles interest in Flight Simulator continued to grow as he learnt how to model Gmax vitual cockpit models for the freeware group Project Open Sky and later the paywhere producers Commercial Level Simulations (CLS). In real life, Giles holds ratings on Cessna 152, Cessna 172, Cessna 172 RG and Mooney M20J aircraft. 2015 is Giles first year of participating in a fixed based sim and he can’t wait! 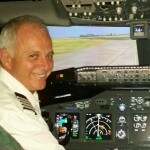 Bill is the oldest member of the 737 crew and has participated in three Worldflight events. He undertook flying training at Jandakot in the late 1970s and his first solo flight was in a Grumman TR2. An architectural draftsman, Bill only began using computers in his mid-thirties when the local building industry switched from hand-drawn documentation to CAD drawings. It was at this time that he discovered the Microsoft Flight Simulator software. He became hooked on jet simulators when, for the first time, Microsoft’s FS98 included Boeing 737-400 and “worldwide” scenery. He remembers the first time he used a search engine in the days of “dial up” internet, when he typed the words “flight simulation” and found the website; www.flightsim.com. Bill met Gwyn Perrett at the beginning of the century when Gwyn emailed him in response to one of his Op-Ed pieces on www.flightsim.com. 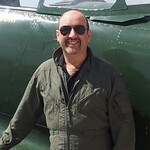 By the same process, Bill has been fortunate to meet up with many other flightsim enthusiasts during his frequent overseas trips and, without exception, has found them to be very smart and thoroughly descent people, who are happy to spend time with someone who shares their passion for aviation. 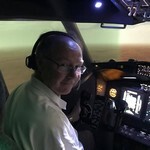 Even though he has been operating computers for more than twenty years now, he famously does not understand anything about them (in fact he hates them) but he loves flight simulators and feels privileged to have regular access to “the best cockpit simulator in Perth”. At the risk of labouring the point, it is probably worth repeating that Bill is really, really old!